The de facto blockade enforced against Qatar this month is the culmination of its enduring rivalry with Saudi Arabia for regional influence. Following its formal independence, Qatar shifted from Saudi client state to regional power broker, hosting both US military forces and mediated negotiations between Islamist groups and Gulf states engaged in conflicts throughout the region. Qatar also spurned the Saudi line in establishing cooperative relations with Iran. The kingdom’s projection of soft power in the Middle East, via oil-funded aid payments and its popular Al Jazeera network, has long riled the Saudis. Bilateral animosity increased during the Arab Spring, when the two countries backed opposing groups in Tunisia, Libya, and most notably, Egypt, where Qatar was allied with the Muslim Brotherhood. Al Jazeera supported democratic and Islamist rivals of Arab autocrats during this period. It has since been banned in Saudi Arabia, Bahrain, the UAE and Egypt. These countries also broke off relations with Qatar on 5 June. Saudi Arabia coordinated this rupture on the pretext of Qatar’s financing for terrorist groups, an activity engaged in by governments throughout the region. The timing is more likely to have been influenced by Donald Trump’s receptiveness to Saudi views during his first visit abroad in May. 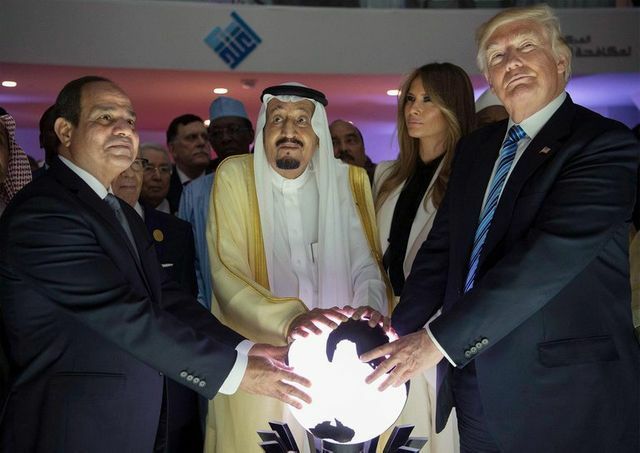 Following the announcement of Qatar’s isolation, Mr Trump implied that the policy had been his idea, echoing the Saudis’ stated opposition to funding for militant organisations. Qatar’s status as a host for a US base did not inspire reciprocal support and will be noticed by other smaller allies who have welcomed US troops. Meanwhile in Qatar, locals are stockpiling dwindling supplies of staples, which have been somewhat offset by shipments from Turkey, Qatar’s most important ally. Qatar’s separation will have limited effects on its neighbours, however. If anything, it will serve to confirm the political power of Saudi Arabia, and the economic dominance of the UAE, where Dubai continues to be the focus of financial intermediation in the region. Effects on the energy sector are also expected to be limited.